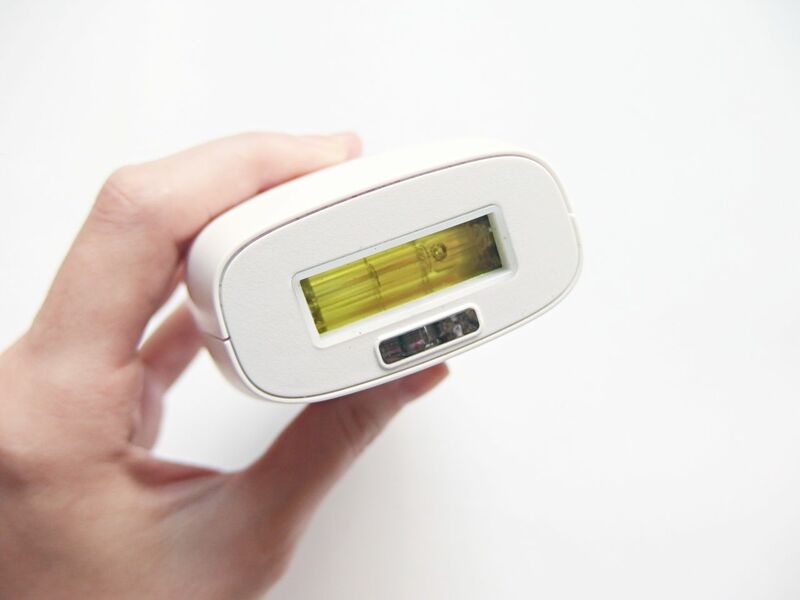 After trying out the Philips Wet & Dry Epilator, I was excited to then try out their new compact home IPL hair removal system which promises pain-free hair removal. 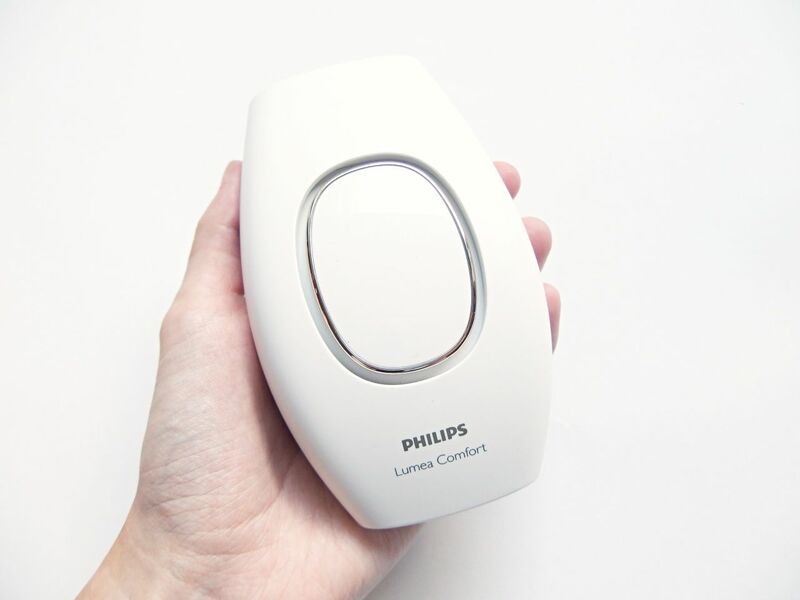 The Philips Lumea SC1981 is a compact beauty gadget that uses IPL technology in the comfort of your own home. So what is IPL? It stands for intense pulsed light and it is what is normally used in salons when you go for laser hair removal. The light stimulates the hair follicle to go into a resting phase and as a consequence the hair sheds naturally until hair regrowth is prohibited. Philips previously had the Lumea Precision Plus home IPL which was a bigger gadget and much more expensive at £450, this one however is now priced at £200 to make it slightly more accessible for those of us who want to be able to try it. Comparing it however to the price of waxing in a salon or even adding up the costs of shaving at home, it definitely becomes a cost-effective option for hair removal. The device itself easily fits in your hand and you have to use it plugged in, which is really easy to do as it has an extra long cord. The Lumea SC1981 has 100,000 flashes which relates to the pulses of light, giving you they say over four years of treatment. 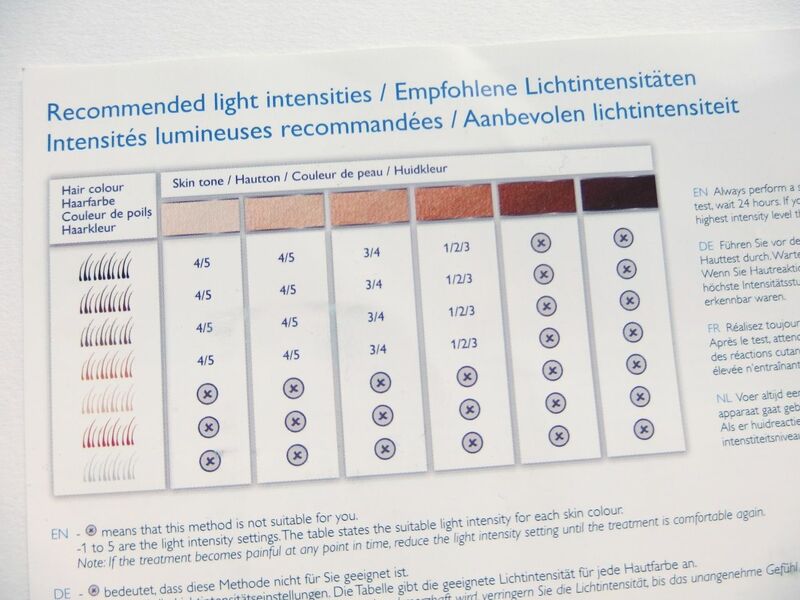 So the Lumea is suitable for skin types 1-4, so it will work effectively on naturally dark blonde, brown and black hairs but will not work on red, light-blonde or white/grey hair. The compact comes with a guide to let you know if you are suitable and also what strength to use it on, which are numbered 1-5. How long does it take and where can I use it? Philips suggest doing up to 6 treatments every two weeks and then maintaining once a month afterwards until as necessary to stop the hair growing back. The process itself doesn’t take long at all. For legs I’d say about 15 mins and underarms about 2 minutes! It works on legs, underarm, bikini and face. Unlike the epilator this doesn’t hurt at all. All it is are light pulses, so you won’t feel a thing. There are different strengths depending on your skin colour so just make sure you choose the correct one to avoid it getting too hot on your skin. For me I started on a 3-4 and then went up to a 5 as that felt fine for me, but it all depends on you. But it is completely pain-free! 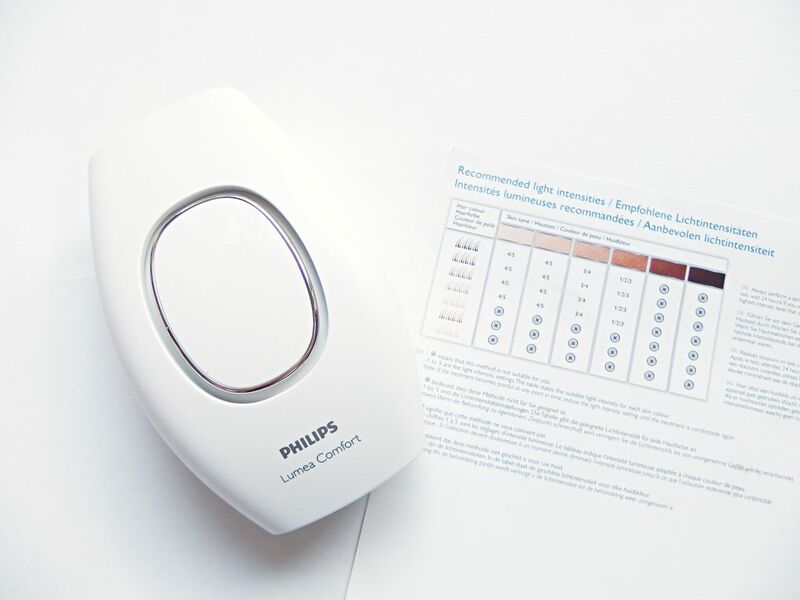 How do you use the Philips Lumea? Shave the areas you want to work on ready for removal. Place the machine over the part you want to IPL and press the top part down, it will omit a flash and then you can move onto the next. You can also hold that down and glide it along to send pulses out. You can see it in action in the video below. For me, so far so good. I have been using this for 6 treatments now which has been over a period of 12 weeks, I have seen a big difference in my hair growth. It is less coarse, very soft and hasn’t grown back in as much, so I can definitely see it starting to work. For me I think I will need a few more before it completely goes. Hear more on my results and see a demo of how to use it in my video. The Philips Lumea SC1981 is priced at £200 and is available from Boots. Have you tried this type of hair removal before, I’d love to hear your thoughts? Hi, this sounds great but can you find out if it’s safe to use over moles – i have lots of small ones, but some people have larger ones. Thanks. I’m from Brazil and this “lumea precision plus” is new here, so no ones know it. I’m very afraid to buy and doesn’t work for me. And here is very expensive, almost 2.000 dolares! So i was searching and found this model of lumea compact. My question is what the difference betwen this lumea compact and the other one(lumea precision plus). And i really want to know if is working for you after those months…. I’m really interested for a small amount of upper lip hair (as well as under arms and legs). I assume you don’t shave your lip first? Thanks – feeling nervous entering into the whole facial hair removal! Hi Caraline! I haven’t used it on face myself, but I’m assuming that yes you would have to shave it which I know I wouldn’t want to do personally!